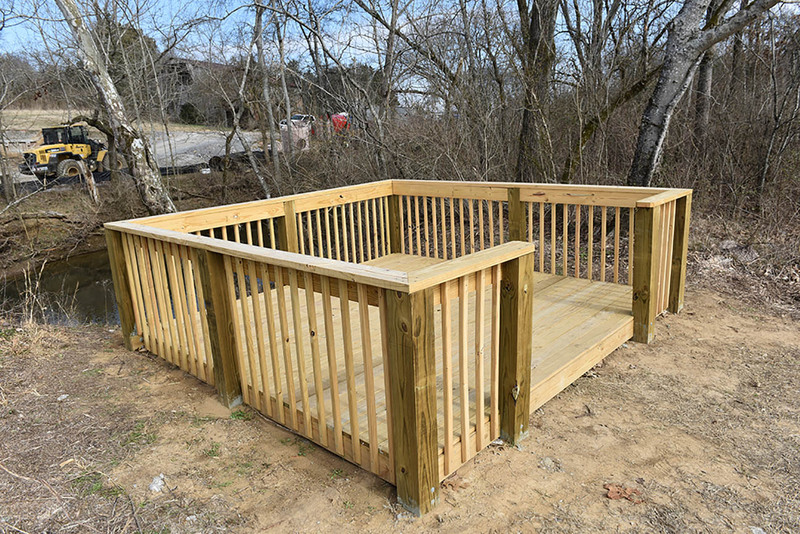 A local Boy Scout troop recently built one of three creek overlooks along Rutherford Creek at Port Royal Park as an Eagle Scout service project. The second overlook, a separate Eagle project, is underway, and work begins this month on the third overlook. These overlooks run along the north side of the park, on the back side of the park's walking path. The City of Spring Hill thanks our local Scouts for these excellent Eagle projects, which will add wonderful park assets for our citizens.